Hello! Welcome to a brand new episode of Lacrosse All Stars’ podcast — Outside the Eight. This podcast focuses on women’s lacrosse while sharing stories and experiences of current and former players and coaches. Outside the Eight will grow the game, help others know the game and share stories that go beyond the field. Hey Hey! Here it is, the second half of the conversation with the amazing, fearless, dare I say tenacious Trenna Hill. If you haven’t listened to Part 1, I suggest you do so now! In Part Deux of this episode of Outside the Eight we dive into Trenna’s time playing at Syracuse, Native American culture, how women’s lacrosse fits into all of that and finally Trenna’s film debut! 8. How she ended up in a feature film about lacrosse! Trenna grew up in upstate New York, played at Syracuse and graduating in 2014, played in the 2007 and 2013 World Cups with the Haudenosaunee (Iroquois) National team. She recently completed her Master’s in High Education at Syracuse and packed her bags to move out west. Along with coaching with Defy Athletics and other club team’s when she has time, she is the head coach for both UCLA women’s lacrosse and Palos Verdes High School. We would LOVE to hear from you. We are five episodes in, and plenty of you are listening so let us know what you think. RATE, REVIEW, and SUBSCRIBE to Outside the Eight (you can do this on Soundcloud or the podcast app on your phone). 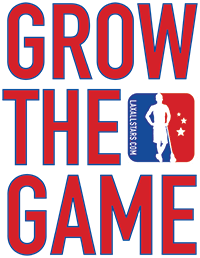 Tweet at me @cmbrunelle, send me an email at cassie@laxallstars.com, leave a review. What else do YOU want to talk about? WHO do you want to hear from? Let me know what you think! Feel free to drop us a line with some feedback. Also, be sure to check out Episode 1: The Gaels and Episode 2: The Fearless Maddy Morrissey and Episode 3: The Multitalented Taylor Thornton. Thanks for listening! Born and raised in Idaho, now living and growing the game in California when and where I can. Whether it's on the field coaching or recording into a microphone as Lax All Stars newest podcaster, I love hearing and sharing stories, lacrosse related or of any sort!